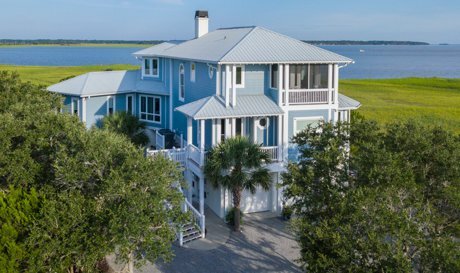 Reclining on the private deck of your 5 bedroom custom designed home, cold drink in one hand and a book in the other, you cast a leisurely gaze over shimmering sea lapping at the ½ mile stretch of sandy shore you call home: Harbor Island, Beaufort, South Carolina. You’ve discovered your very own piece of heaven on earth - a private island on the edge of the biologically rich Saint Helena's Sound - complete with 24/7 security and a full set of amenities. This environmental location, rated “pristine”, is located on a barrier island of 1400 square acres in the ACE Basin Wildlife Refuge. 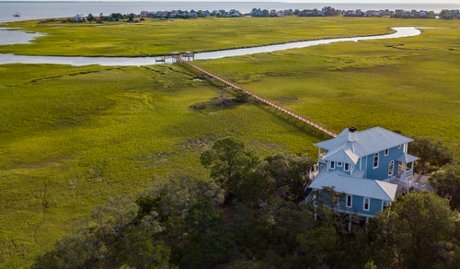 A 350,000-acre National Estuarine Research Reserve managed by the Marine Resources Division of South Carolina presents the perfect natural setting for a private gated community such as Harbor Island Beaufort SC. Living in the middle of a protected wildlife refuge affords home-owners – couples, families and popularly, retirees - a privileged and especially rare opportunity to own an oceanfront homestead in an ecologically protected area. From your private sanctuary, you can watch dolphins frolic in the often luminous green waters. Only a short walk from your causeway home which is filled with light and panoramic views of the marsh, tidal, the ocean and harbour is the Beach Club. In the cool evening air, take a stroll among the herons, pelicans, and horseshoe crabs or relax on the deck of a boat tour. Birding enthusiasts will want to view the range of ocean marsh homes for the pure pleasure of living in the Atlantic Flyway where waterfowl, shore birds, neo-tropical songbirds and birds of prey migrate via Harbor Island. This is a community which takes special pride and care of a wide variety of feathered species including peregrine falcon, Canby's dropwort, chaffseed, hawksbill turtle, leatherback turtle, red-cockaded woodpecker, shortnose sturgeon, West Indian manatee, and wood stork – many of which are now endangered. Equally, the surrounding waters are known for being unpolluted where fishing, like birding, is a well-rewarded pastime. The Atlantic Ocean is rich in American oysters, blue crabs, fiddler crabs, grass shrimps, hard clams, white shrimps, living sand dollars and horseshoe crabs. Within easy reach is the 1120-foot, former Paradise Pier, now part of Hunting Island State Park. 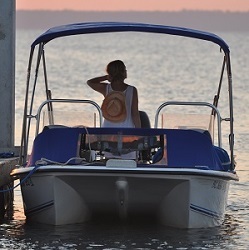 Here fishermen are fortunate to catch Atlantic croaker, bay anchovy, black drum, largemouth bass, red drum, shortnose sturgeon, Southern flounder, spot, spotted seatrout, striped bass, and striped mullet. Completing the best views of the Atlantic and of Hunting Island and within steps to the beach, Cedar Reef Villas for sale on Harbor Island offer private veranda’s and even your very own palm tree! With a vista over the swaying sea oats and coastal grasses covering unspoiled sand dunes, boardwalks provide beach accessibility without impacting on the natural habitat. Regardless of whether you choose a condo or sea-cottage, or whether you settle in the Nautical Watch area of Harbor Island or consider North Point homes for sale on Harbor Island, the crowd-free beach, calm swimming waters and vast natural playground offers the perfect retreat while Beaufort, only 14 miles away, creates a glittering urban backdrop to this well-hidden sanctuary. 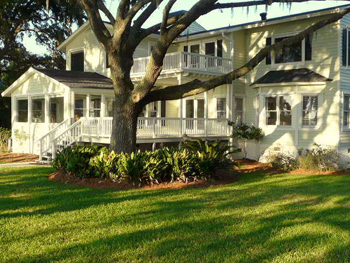 A low key island resort with oceanfront living minutes away from the City of Beaufort? Sounds irresistible! Russ and Deb Fielden know exactly how you feel. They have fond memories of the fantastic lifestyle offered by the Harbor Island areas, which they have enjoyed as residents. Harbor Island real estate has always been more reasonably priced than many other oceanfront communities in South Carolina. This is the perfect season to get settled in a waterfront community. With summer coming, don’t delay! 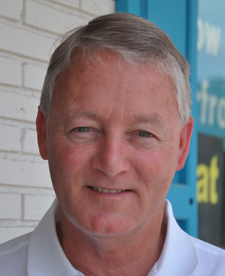 Call Russ or Deb and experience what relaxed lowcountry living really means! Use the links in the sidebar to the right to learn more about the specific areas of Harbor Island.